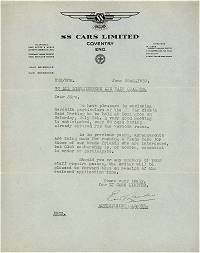 Original letters from Bill Rankin of SS Cars Ltd plus matching SS Car Club documentation. 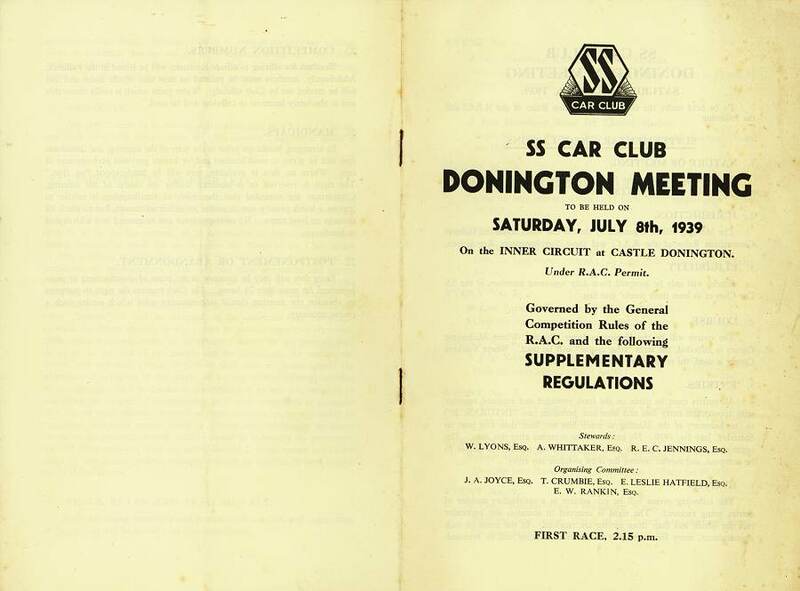 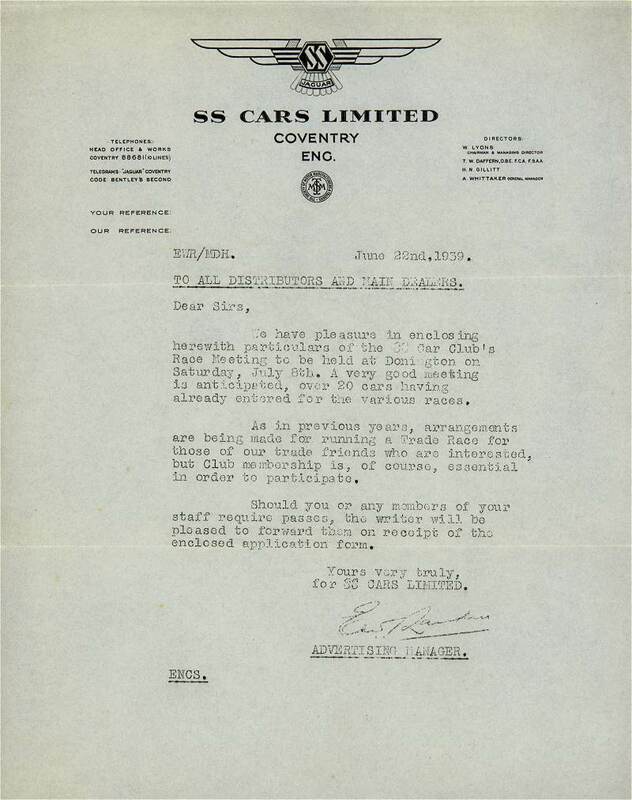 The first invites SS dealers and main distributors to attend the SS Car Club's Donington meeting on July 8th 1939. 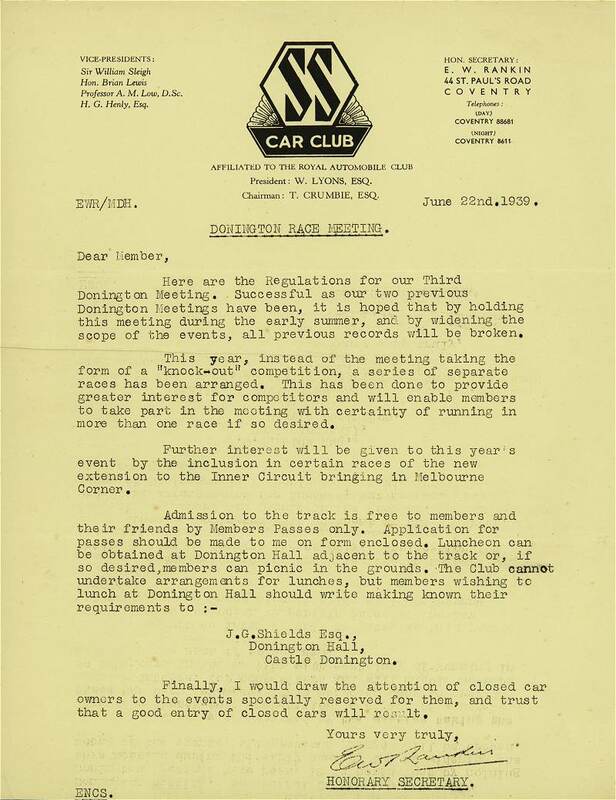 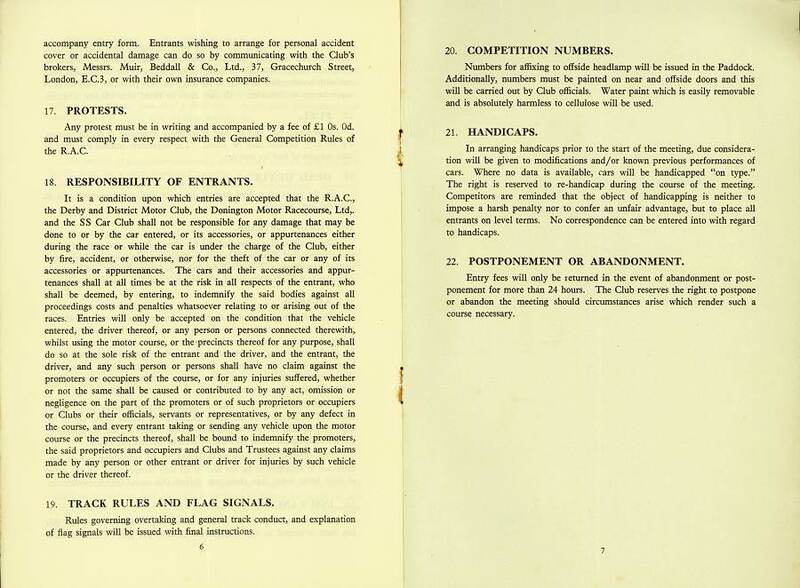 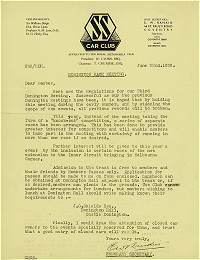 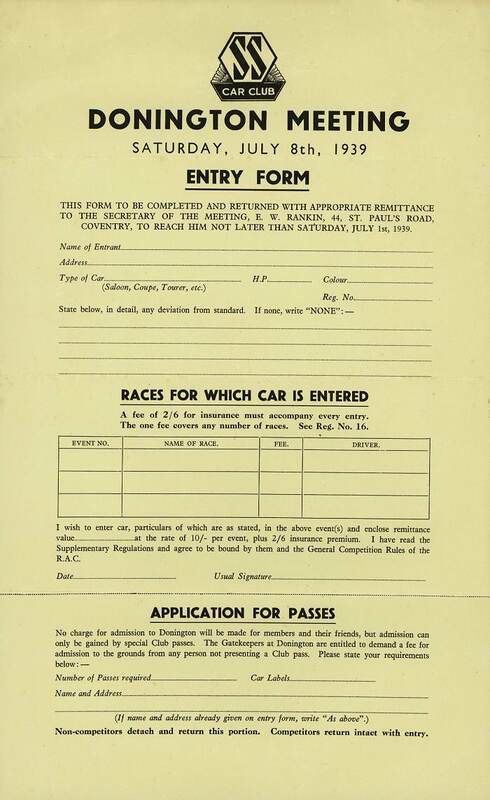 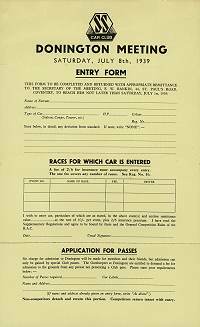 The next letter is to SS Car Club members inviting them to the meeting, followed by the actual entrant application form. 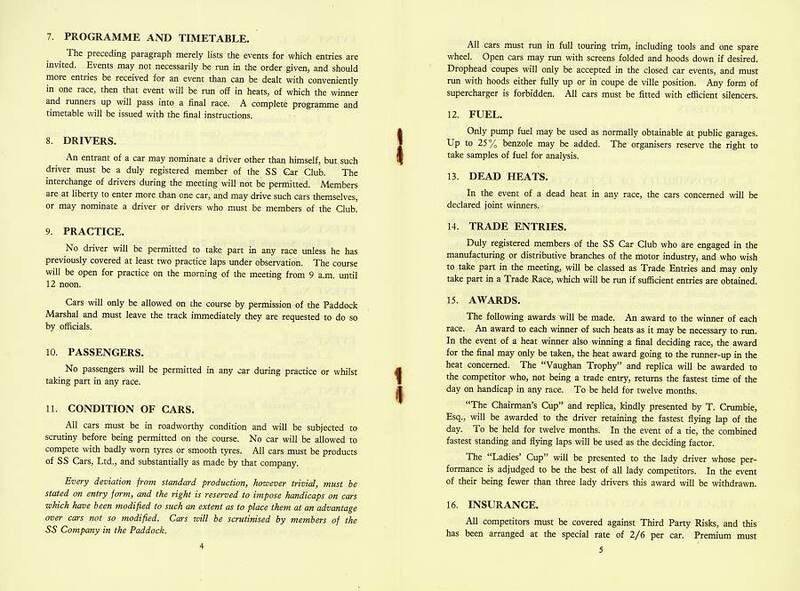 Finally, the complete Rules and Regulations for that meeting.